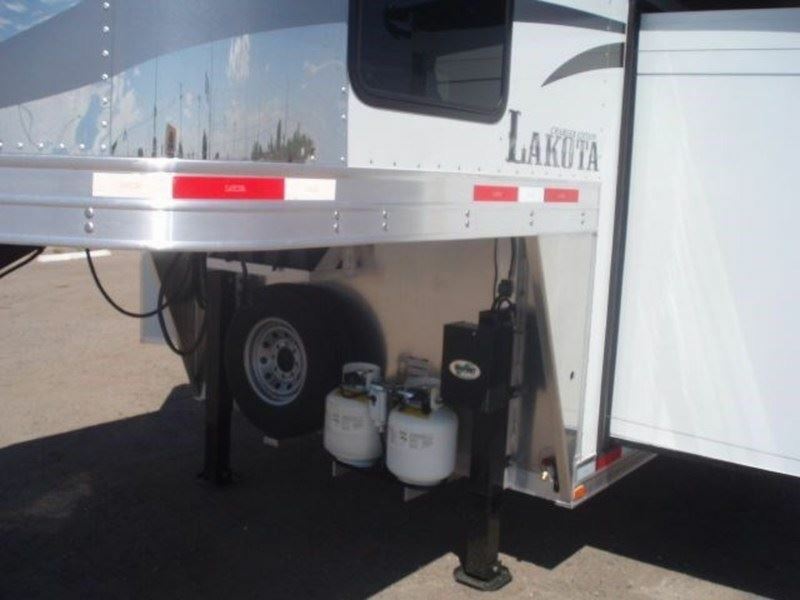 2017 Lakota Trailers C 849 With slide ALL 2017 MUST GO!!!!!!!!!!!!!!!!! 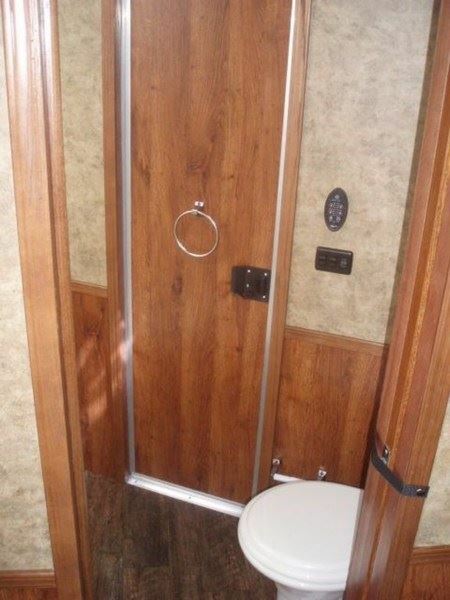 C 849 With slide ALL 2017 MUST GO!!!!!!!!!!!!!!!!! 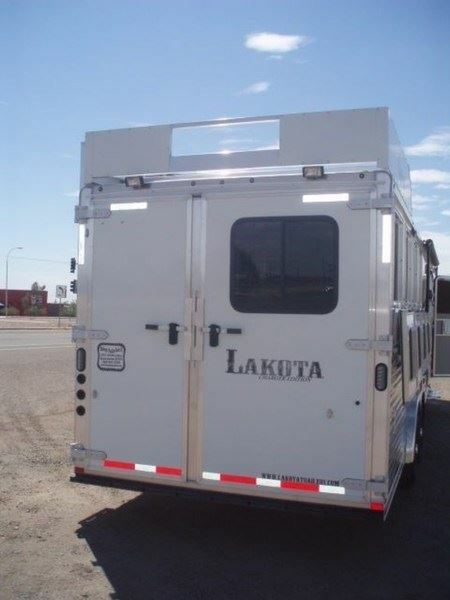 2017 Lakota 4H with a 9' s/w with slide. 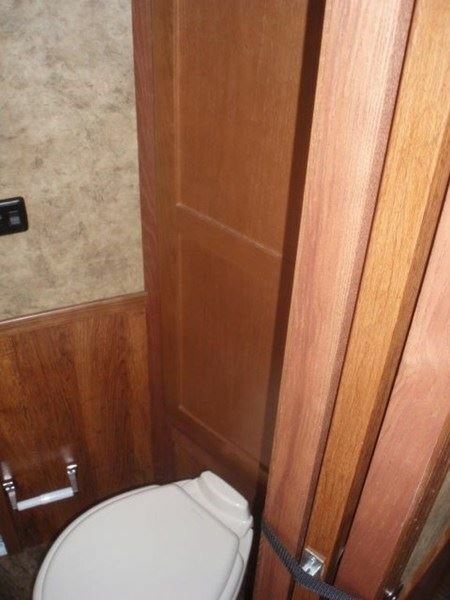 Trailer measurements are 27' long, 8' wide, 7'6 tall and weighs #82001lbs. 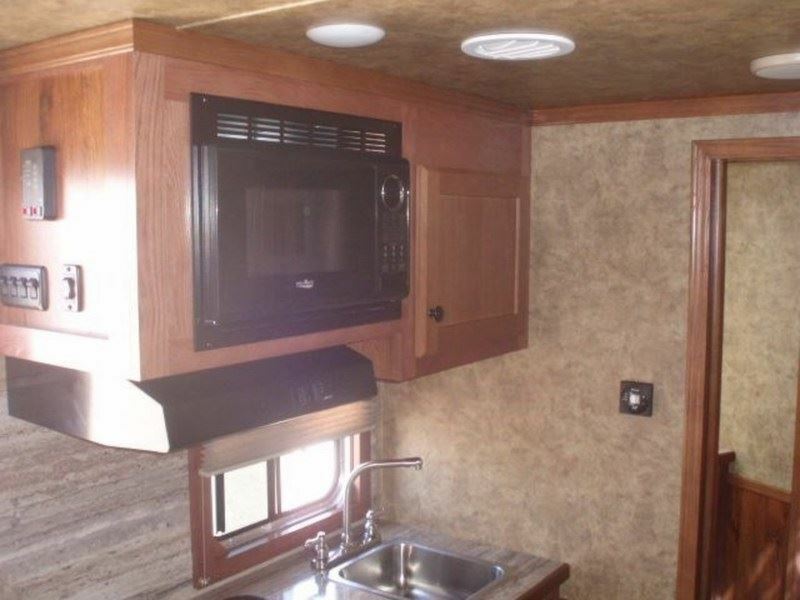 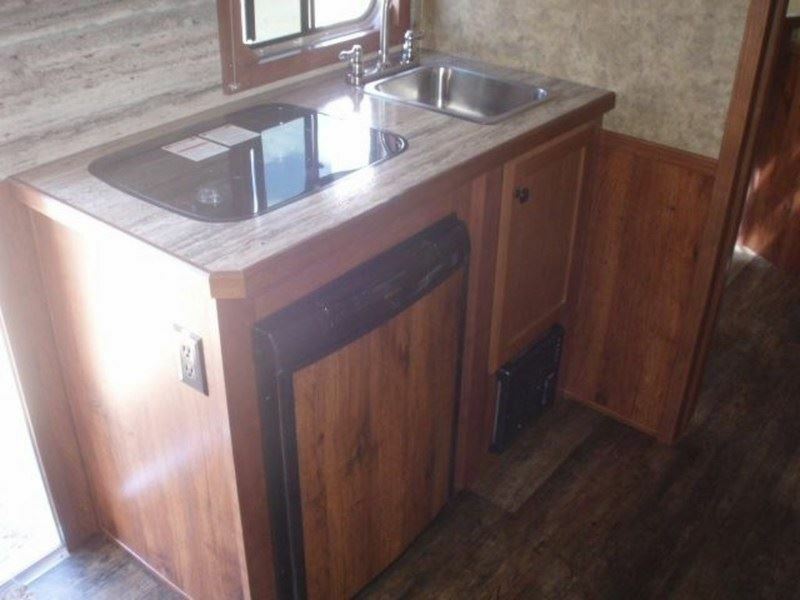 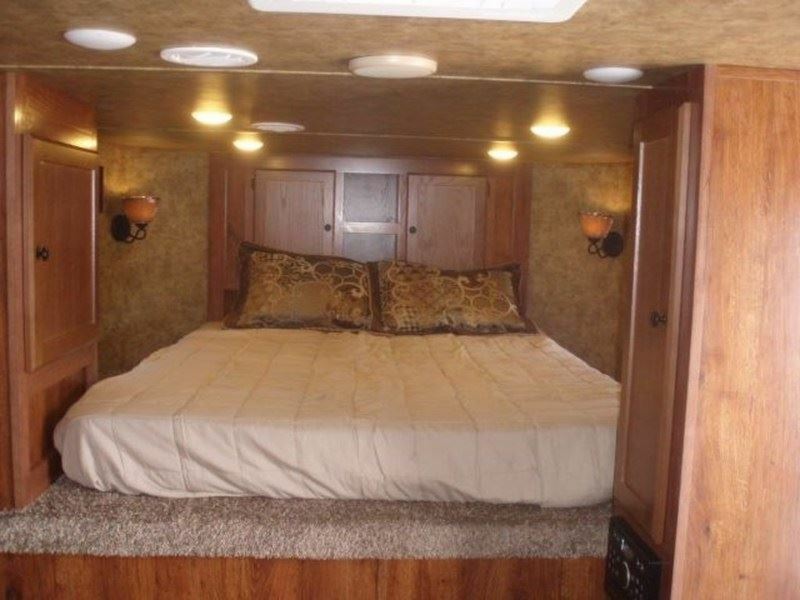 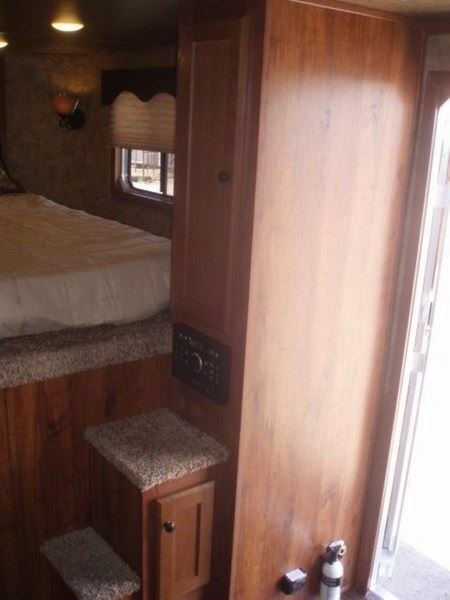 Living Qrt's features a queen sized bed, TV on a swing out arm, couch in the slide, stereo, recessed cook top, microwave, sink, 3.0 fridge, Neo Angle shower, sink and vanity, toilet, walk through door in slant wall, Ducked A/C and gas furnace. 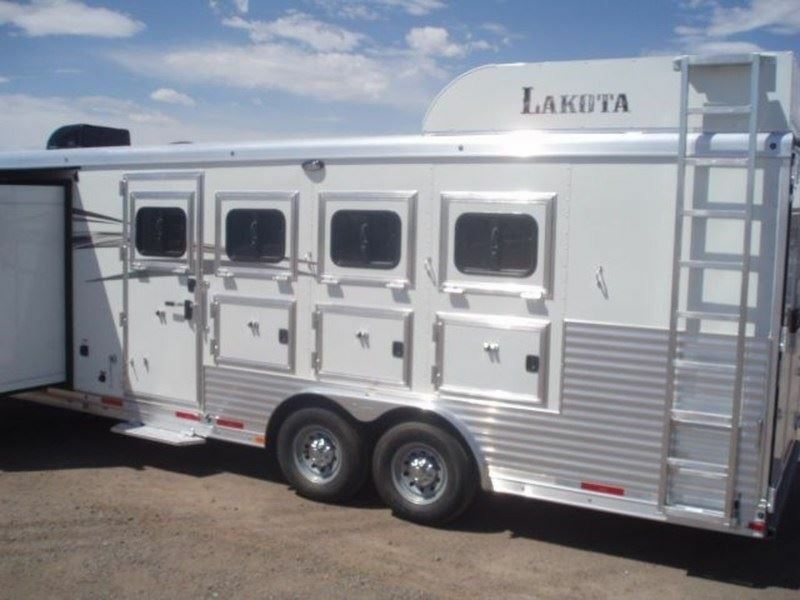 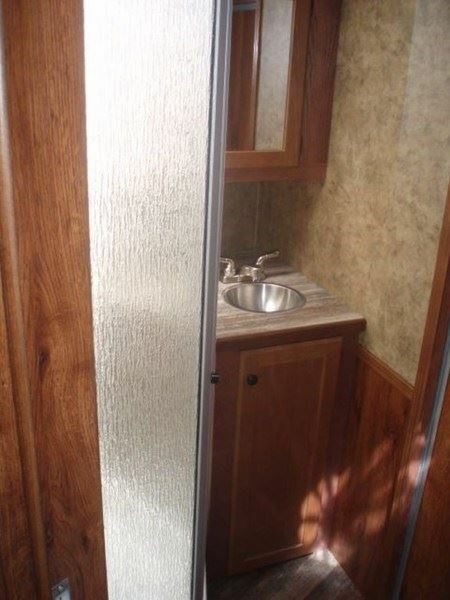 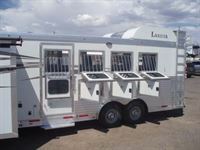 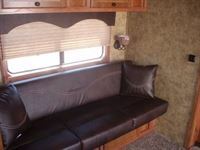 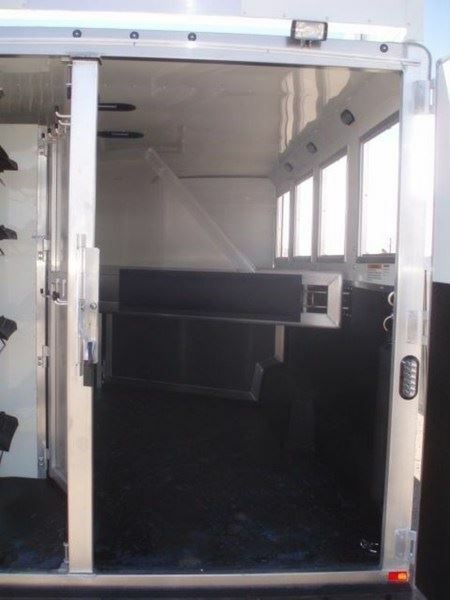 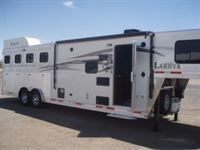 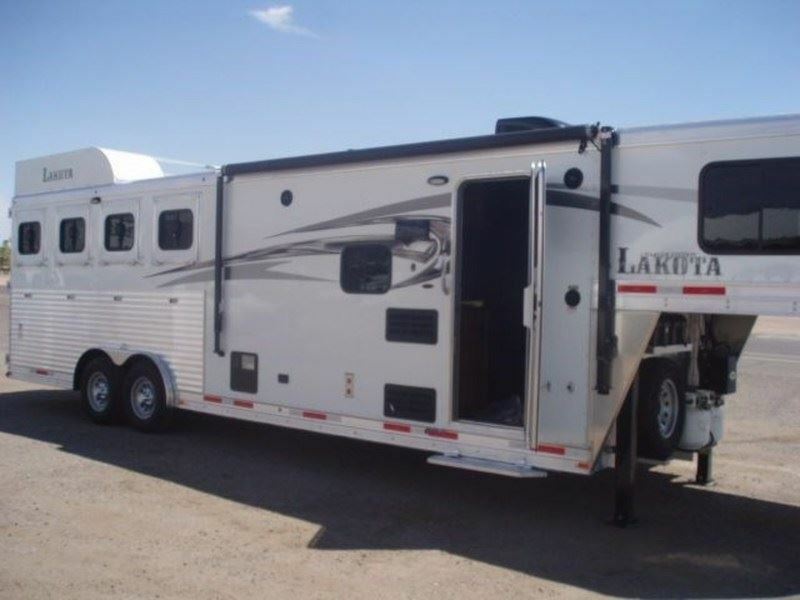 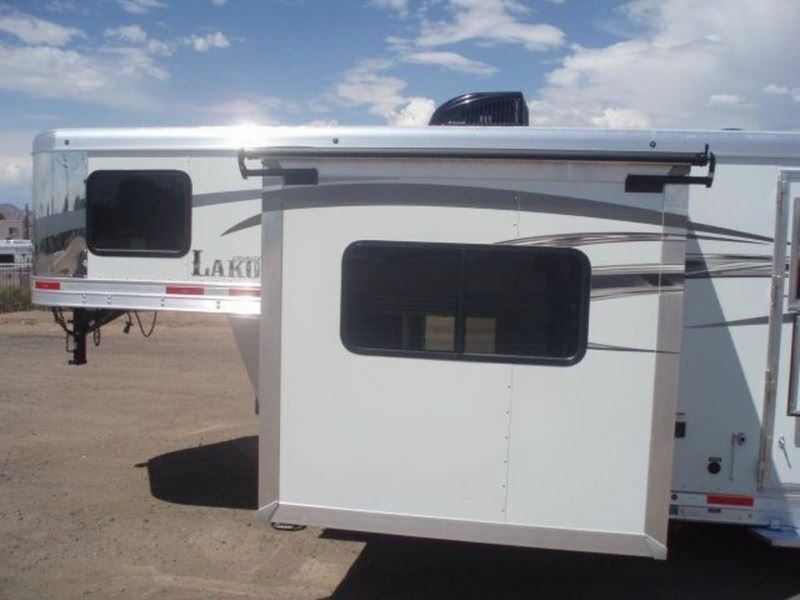 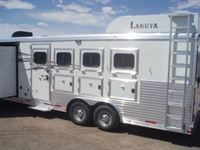 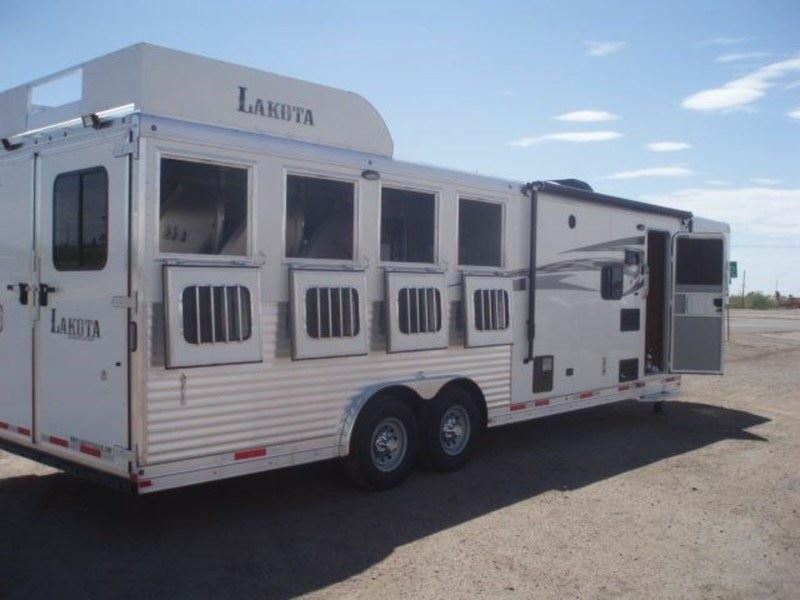 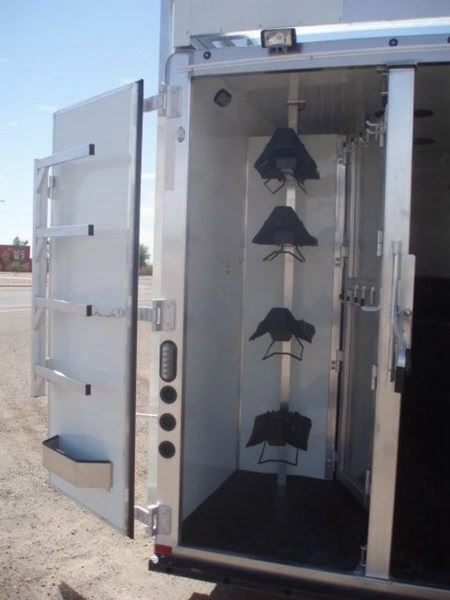 Horse area includes drop windows on the head and hip side, padded stalls, stud divider, mangers, collapsible rear tack, hayrack & ladder, insulated roof, escape door with bauer latch, dual propane, 2 batteries, dual hydraulic jacks, awning & spare.